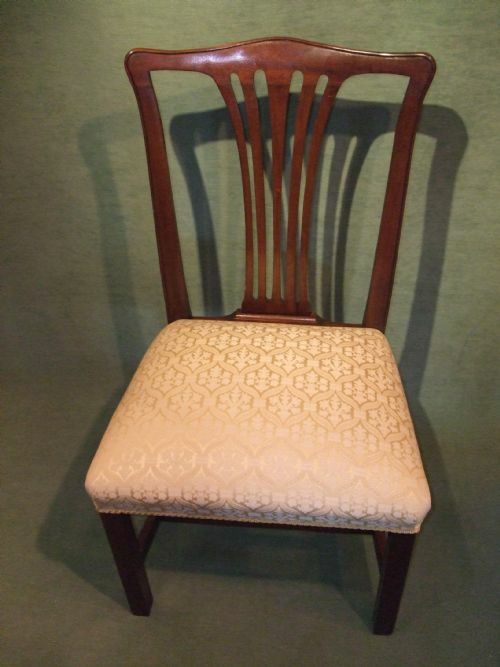 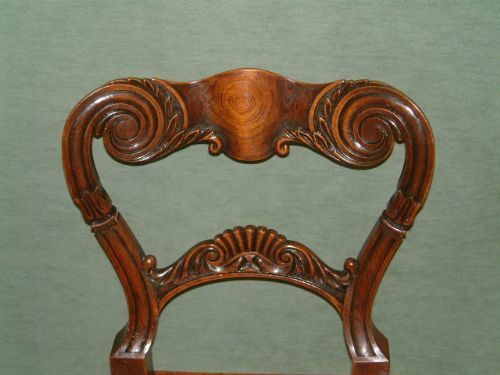 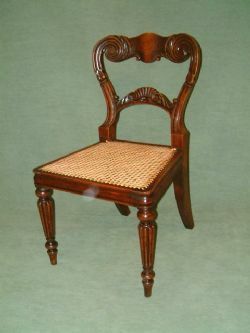 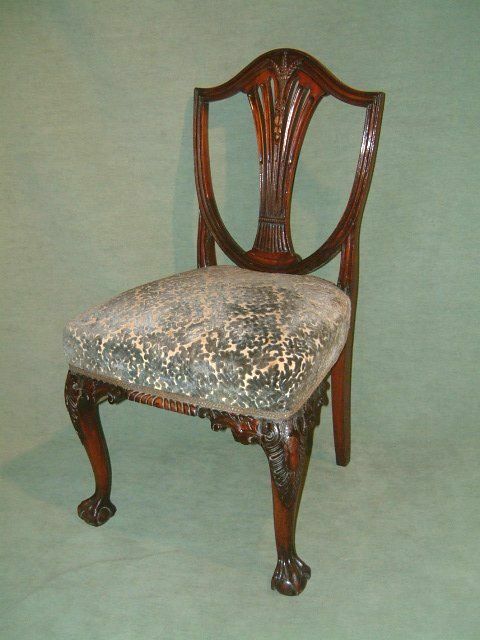 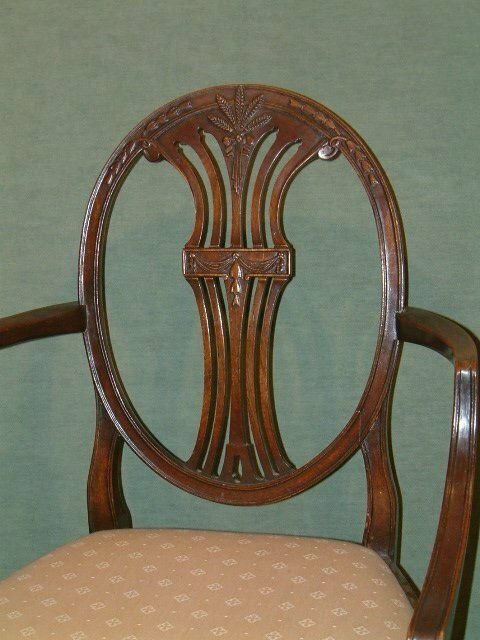 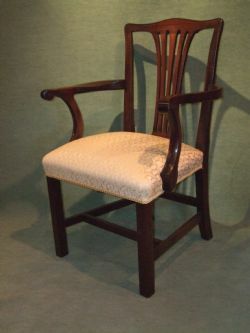 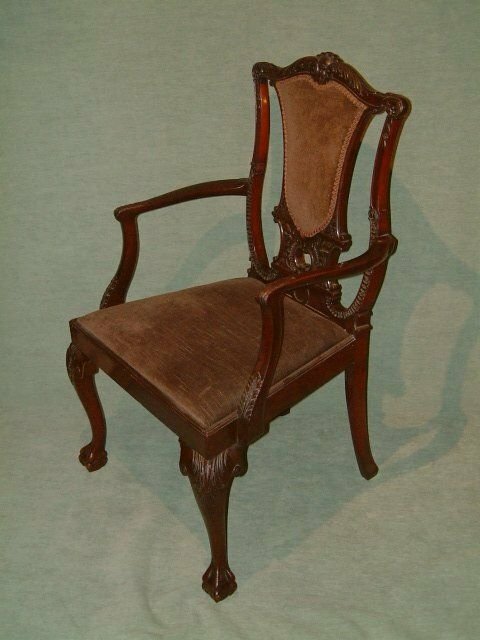 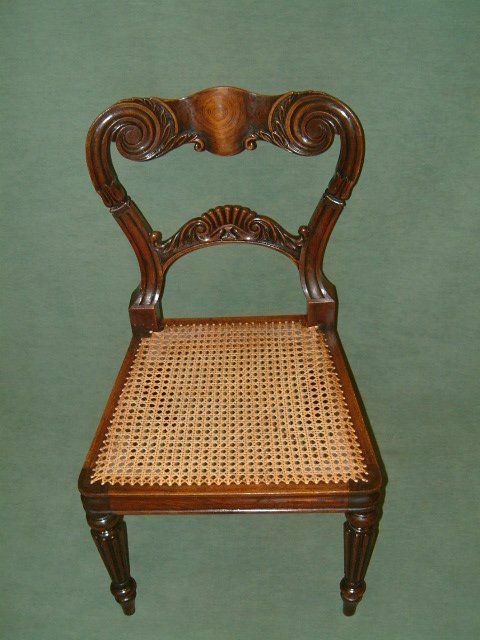 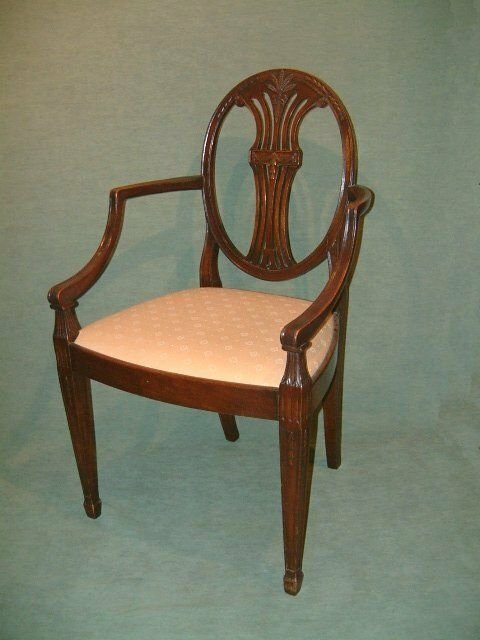 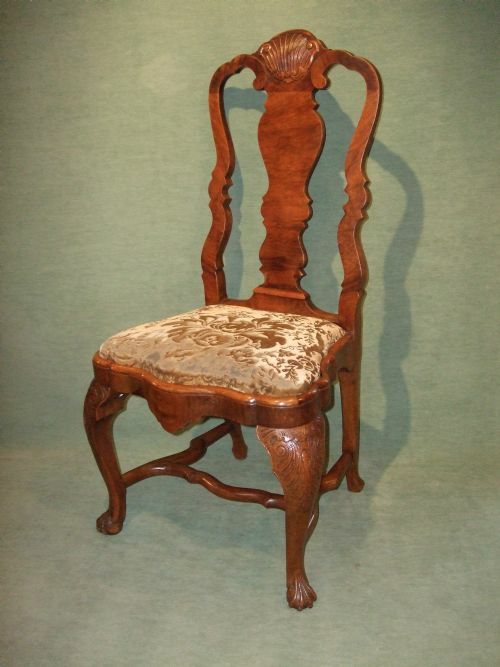 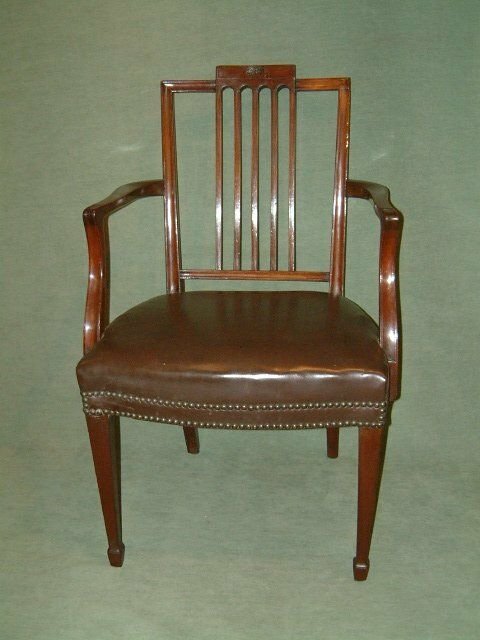 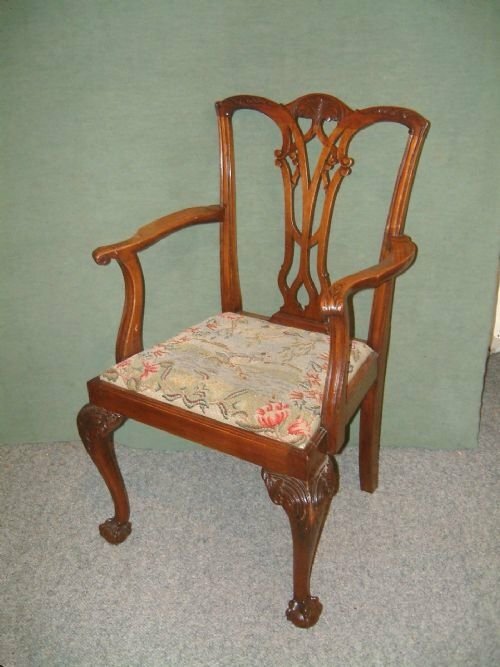 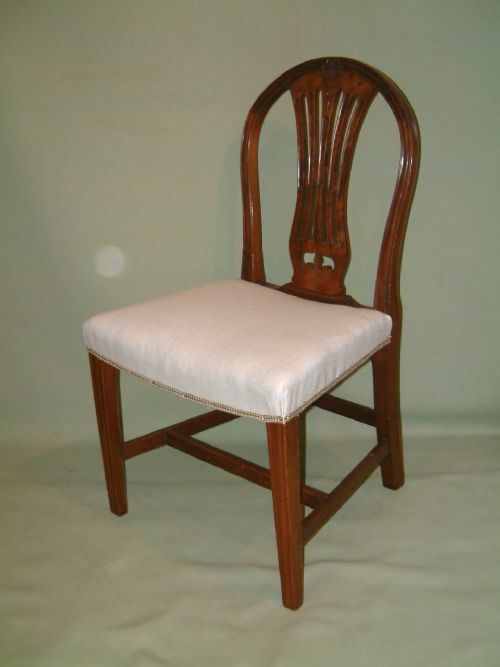 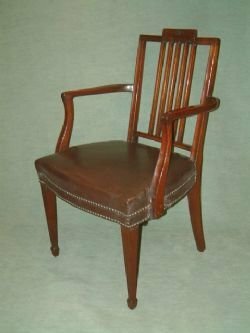 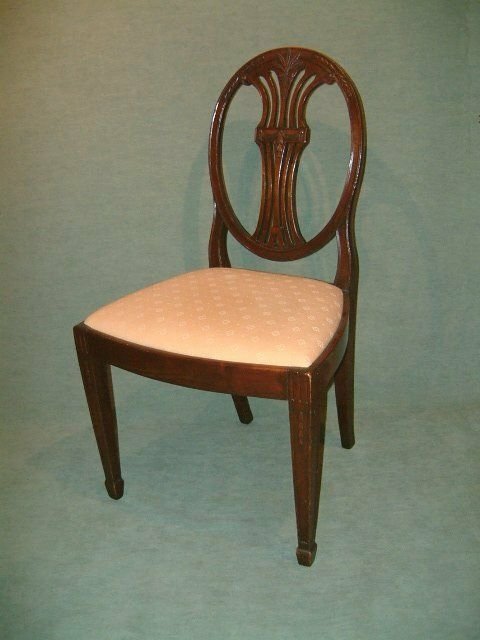 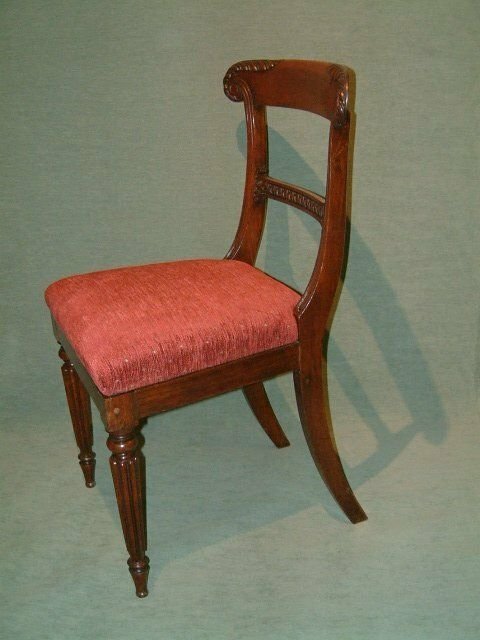 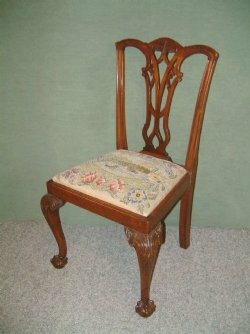 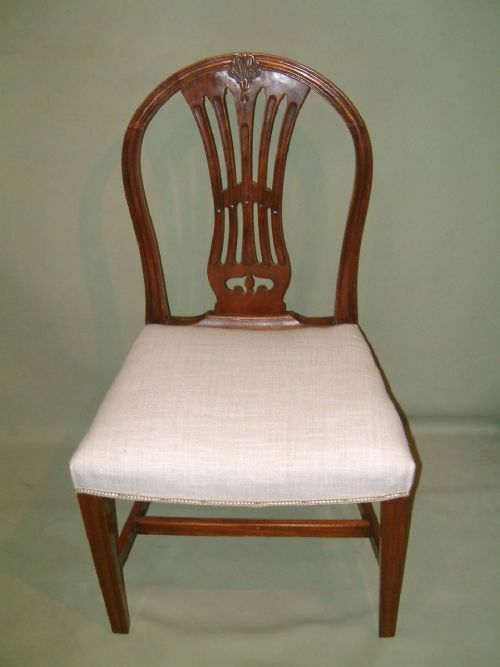 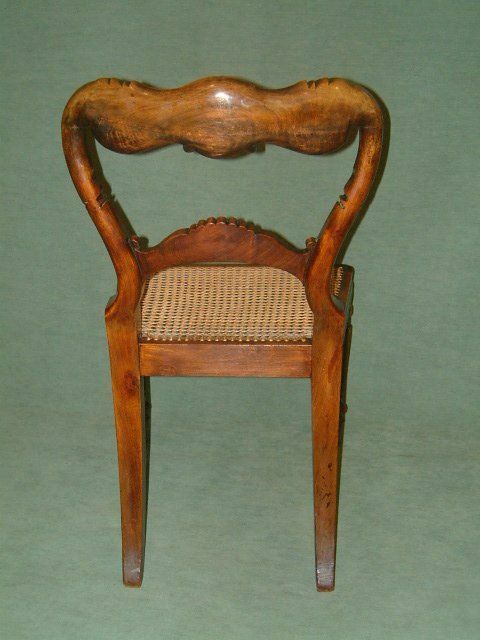 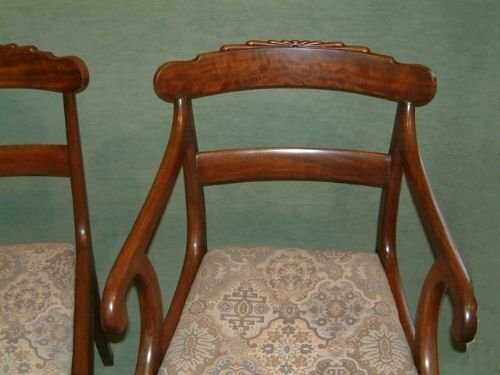 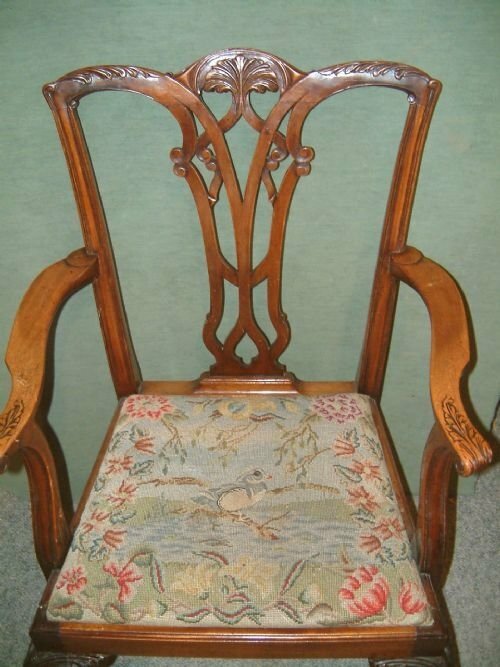 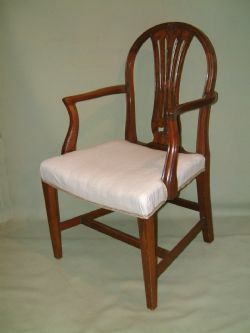 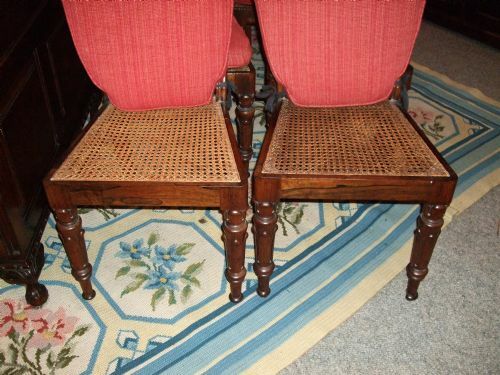 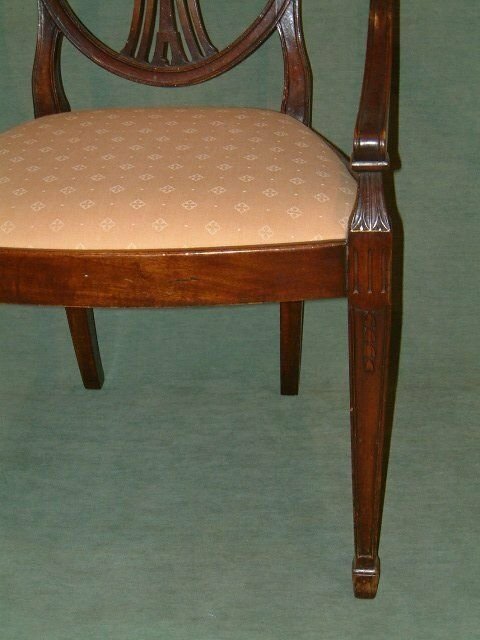 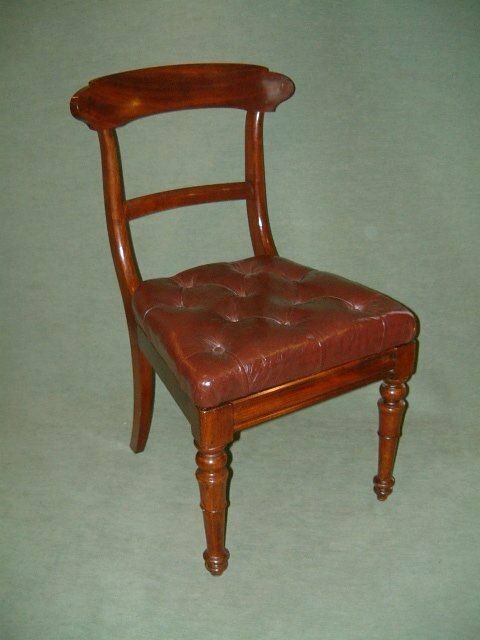 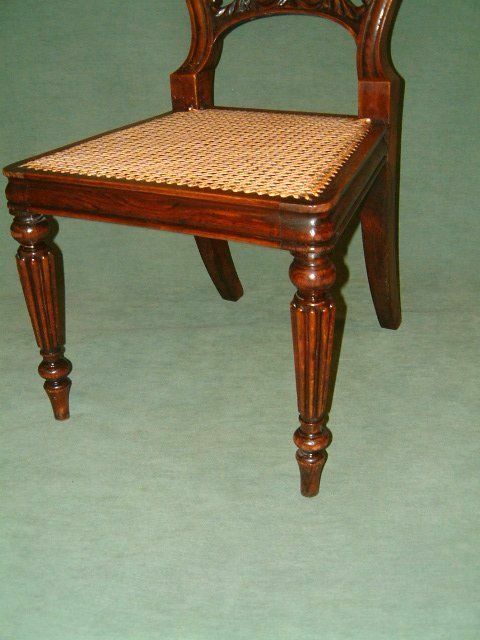 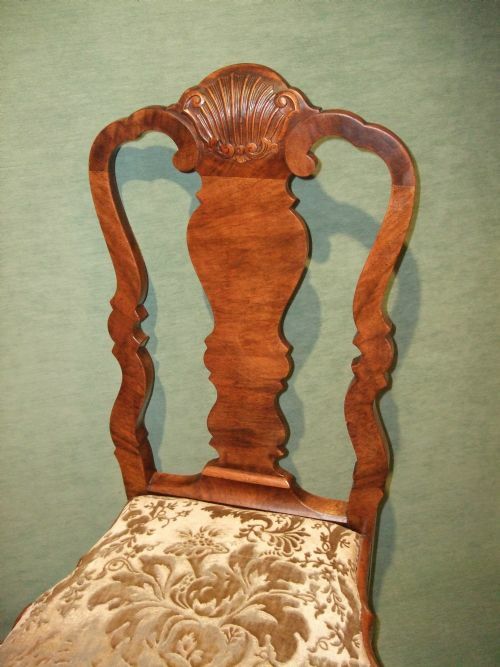 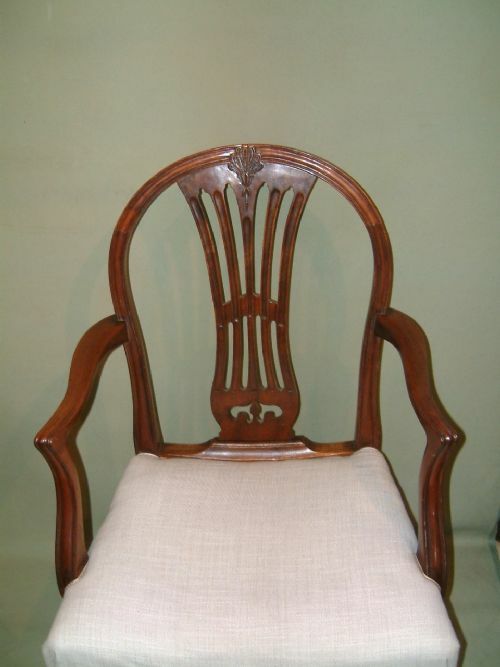 Set of 10 Walnut Queen Anne Style Dining Chairs C.1920 (Inc 2 Carvers). 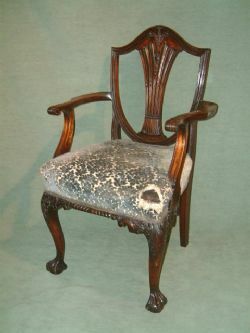 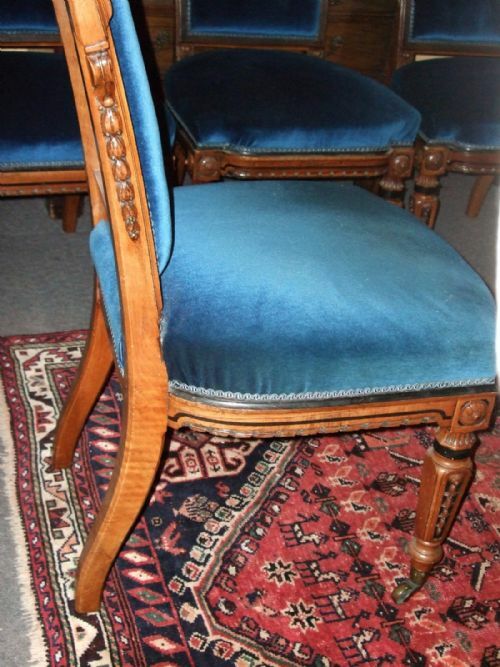 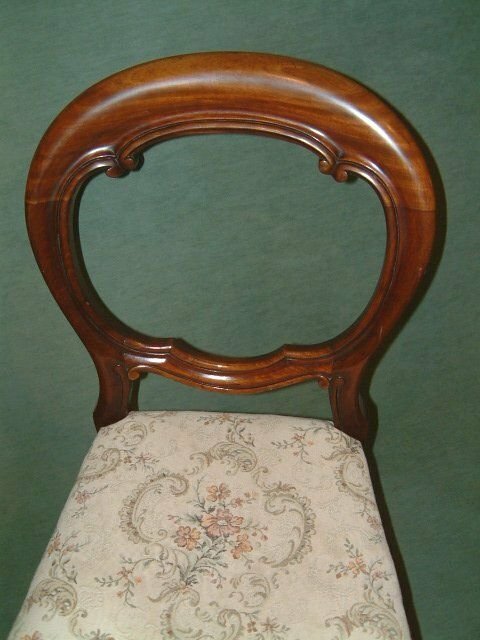 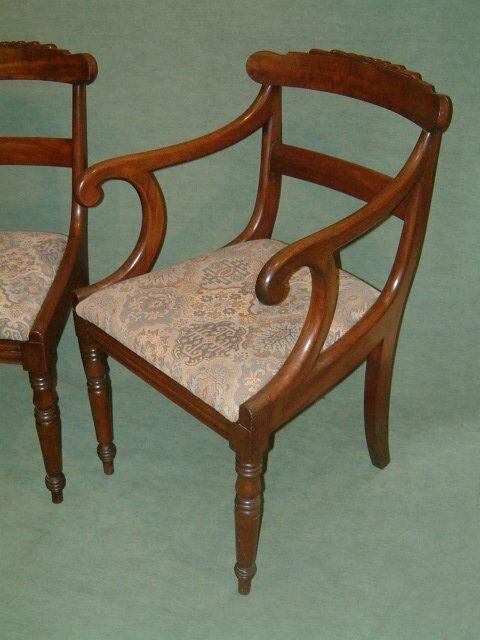 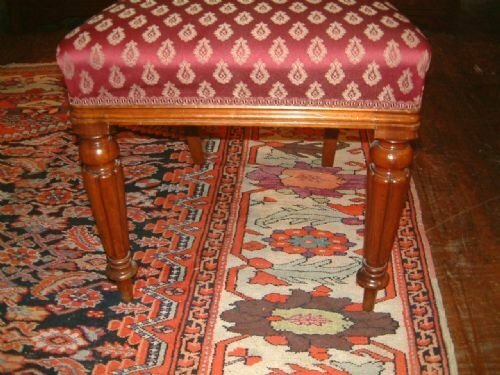 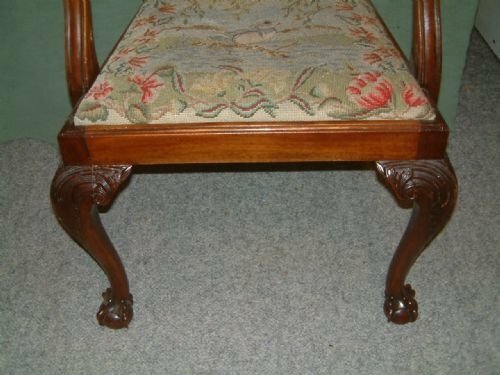 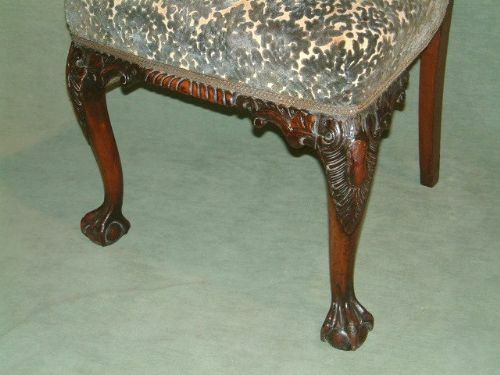 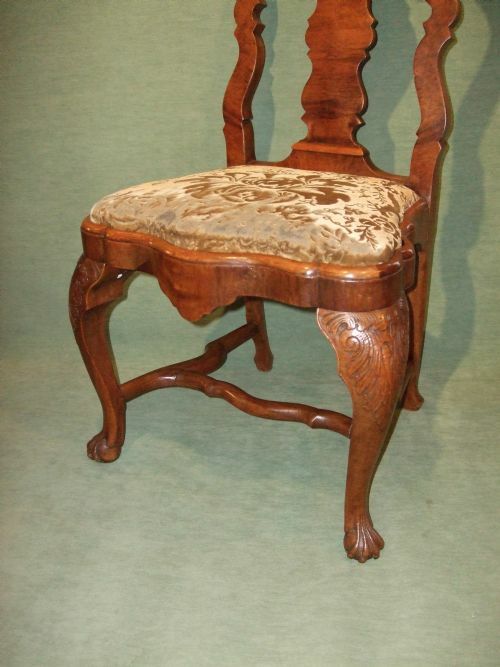 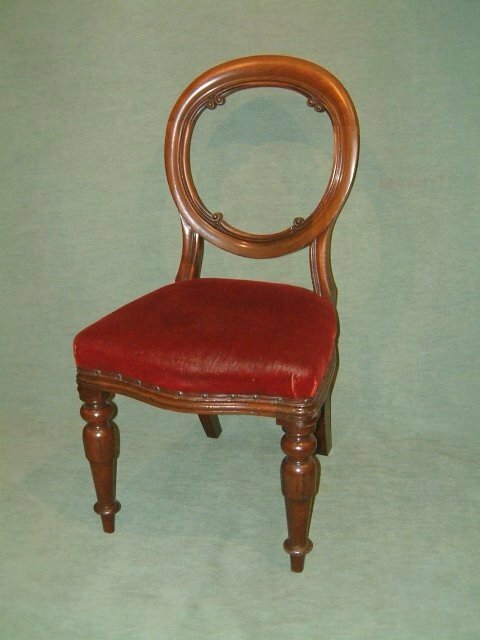 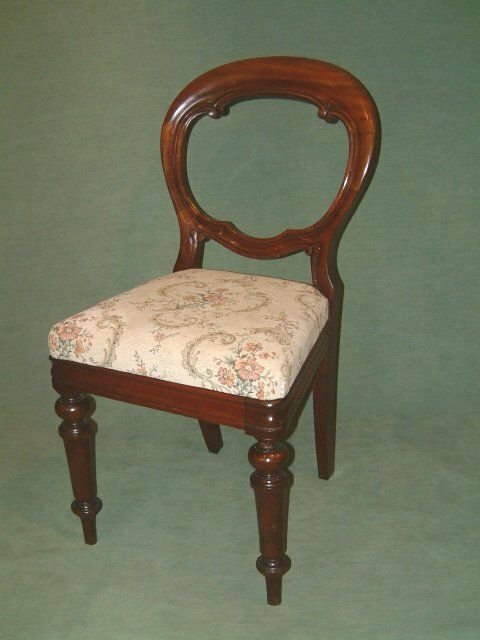 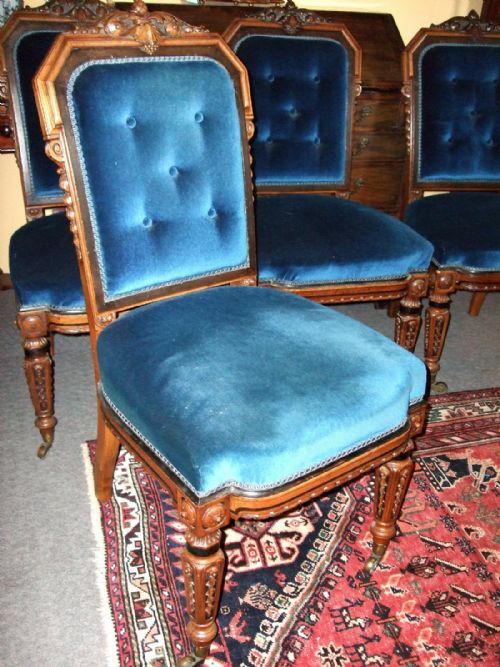 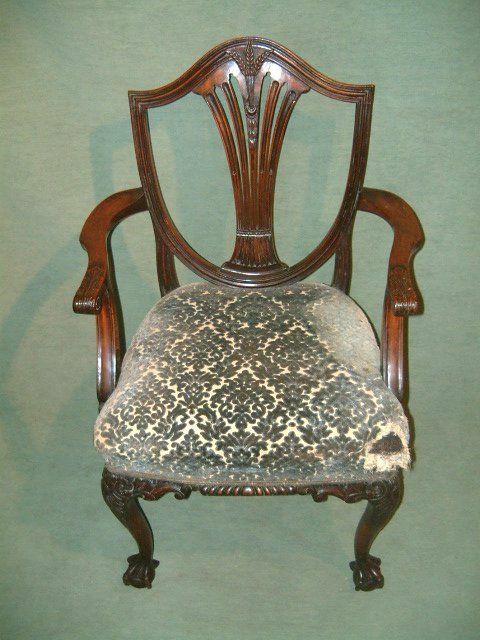 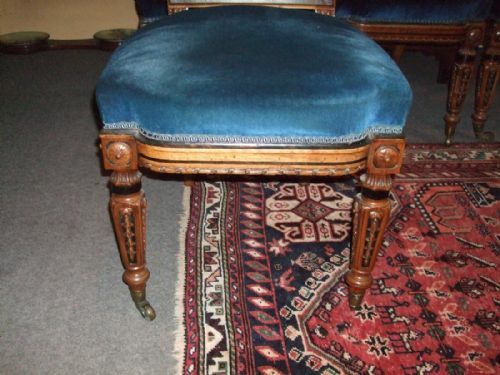 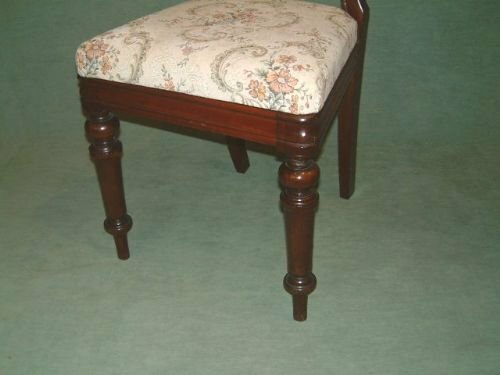 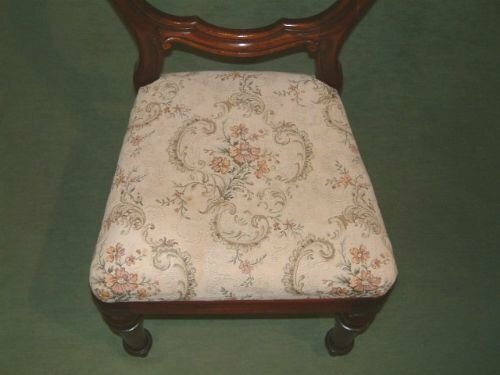 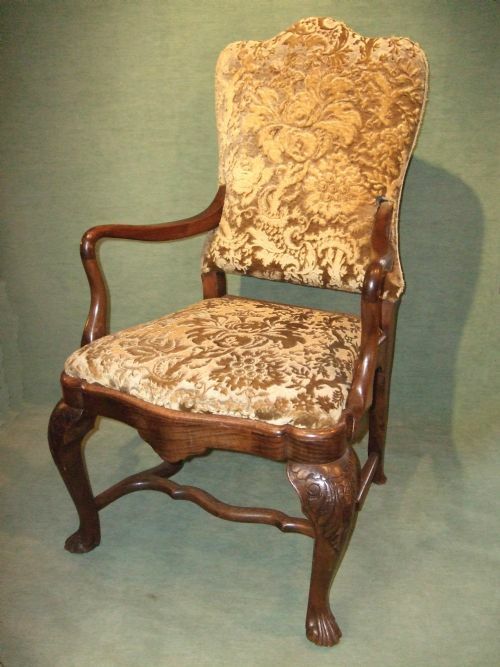 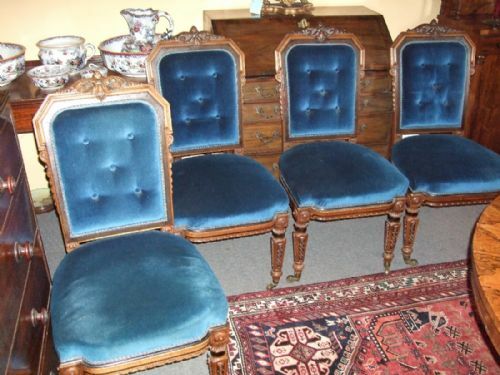 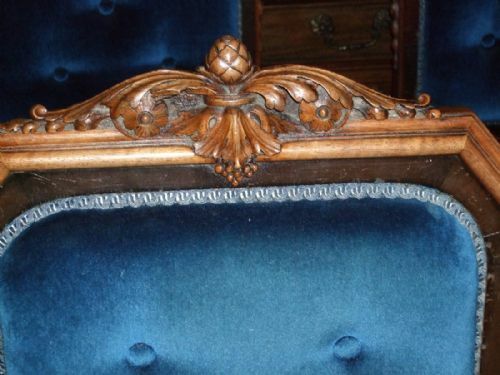 Set of 4 Victorian Carved Walnut Upholstered Chairs Superb Carving Supported on Castors. 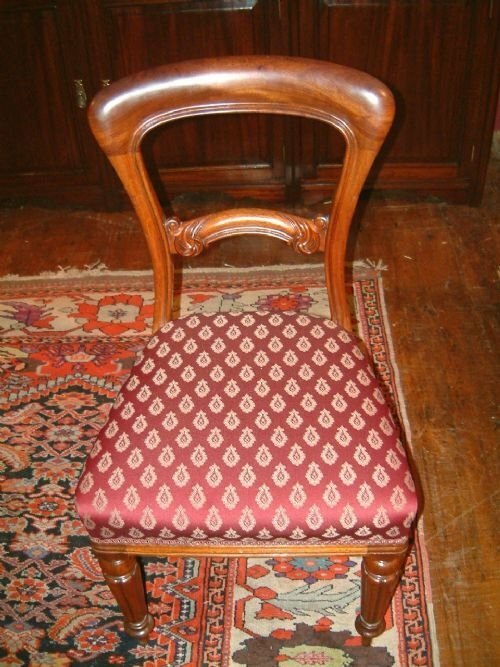 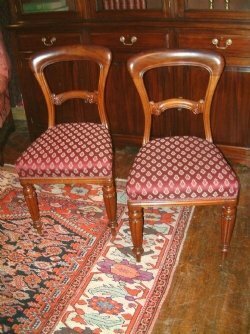 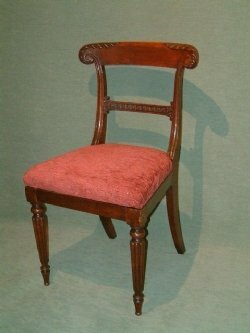 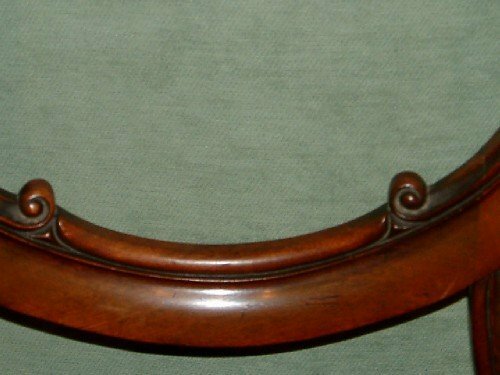 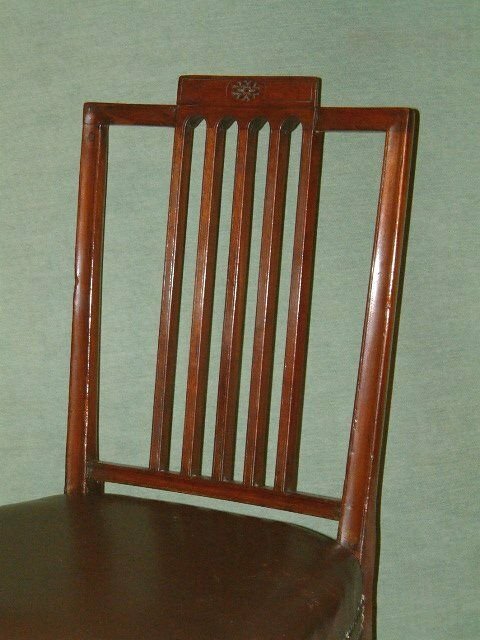 Set of 12 Mahogany Late 19thC Sheraton Revival Dining Chairs. 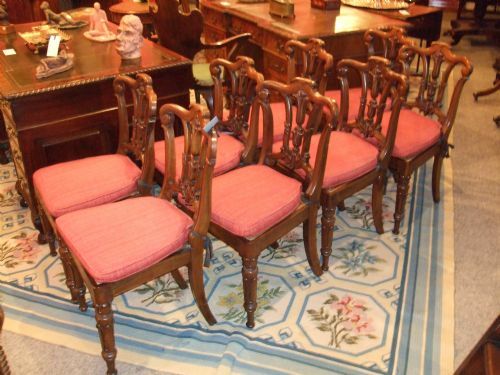 Set of 8 William IVth Mahogany Dining Chairs. 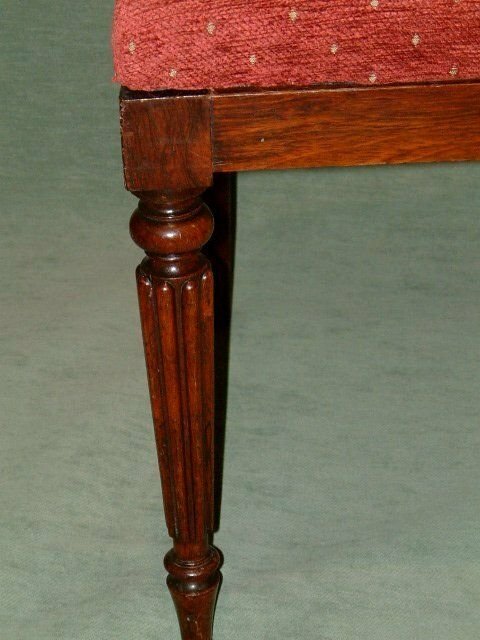 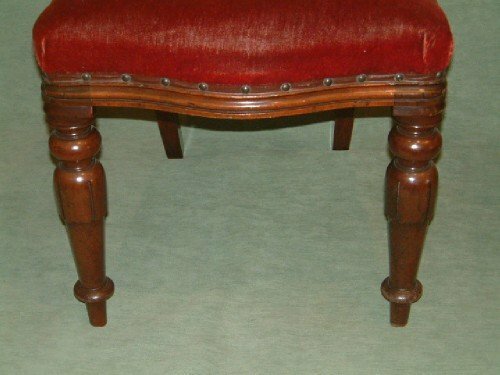 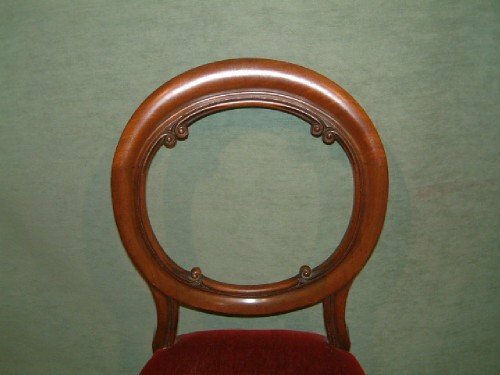 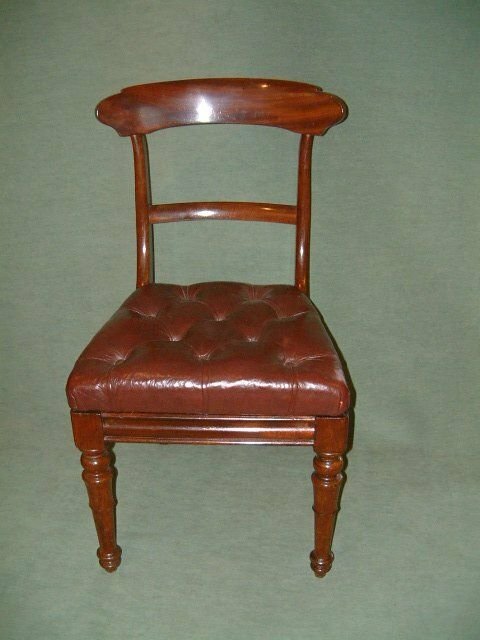 Set of 8 Victorian Mahogany Balloon Back Dining Chairs Nicely Carved Centre Rail Good Figuring to the Mahogany the Upholstered Seats Supported on Turned Pillaster Legs. 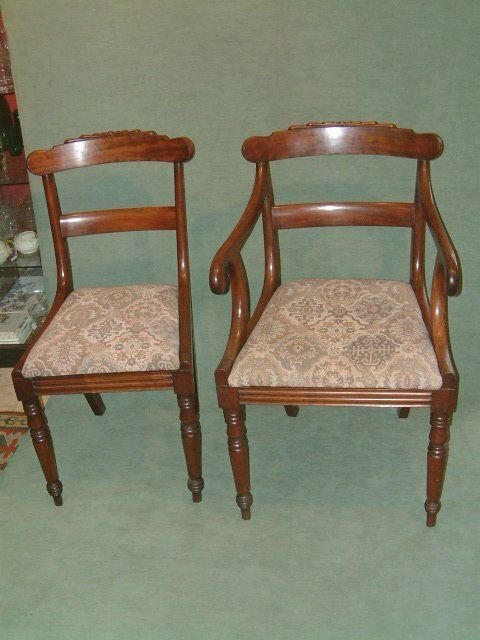 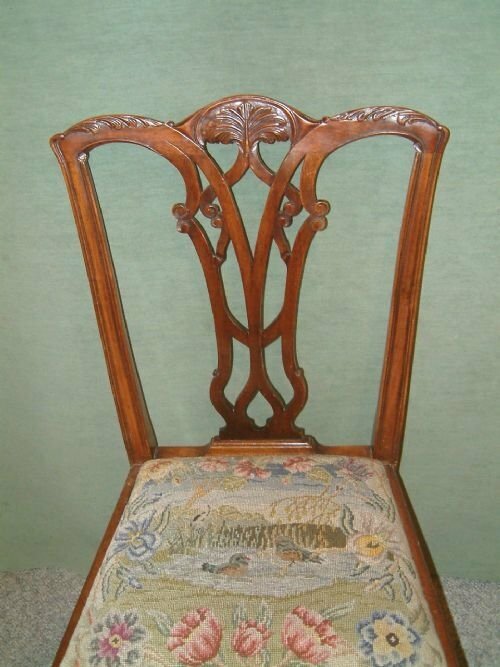 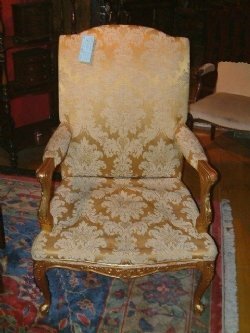 Set of 8 (2+6) Mahogany Edwardian Chippendale Dining Chairs with Tapestry Upholstered Seats.The Ribbon & Carved Top Rail & Splat above Individualy worked Tapestry Upholstered Seats Depicting Flowers & Animals, Supported on Acanthus Leaf Carved Ball & Claw Feet. Set of 6 Victorian Mahogany Spoon Back Dining Chairs Completely Original Including the Plush Upholstery. 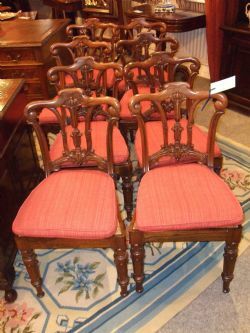 Set of 6 Victorian Mahogany Balloon Back Dining Chairs. Superb Pair of Louis Style 20th Century Giltwood Chairs with Woolwork Upholstery. 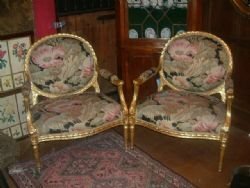 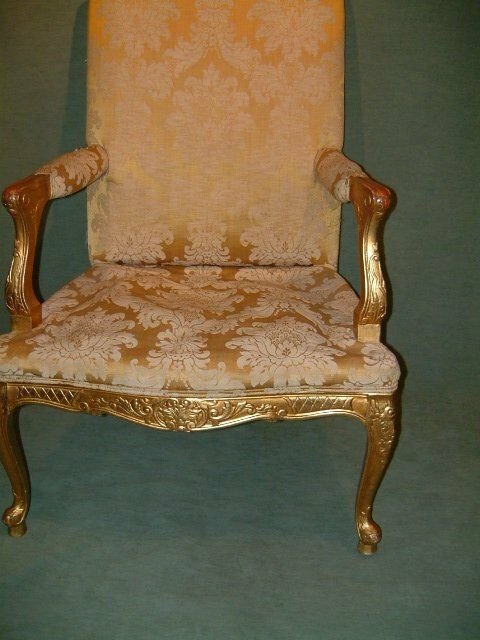 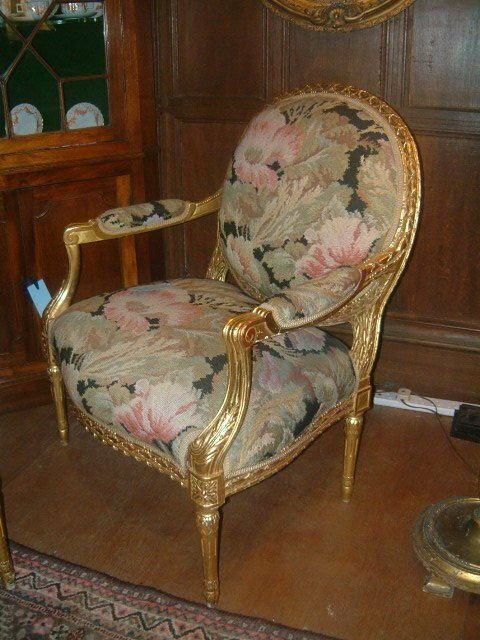 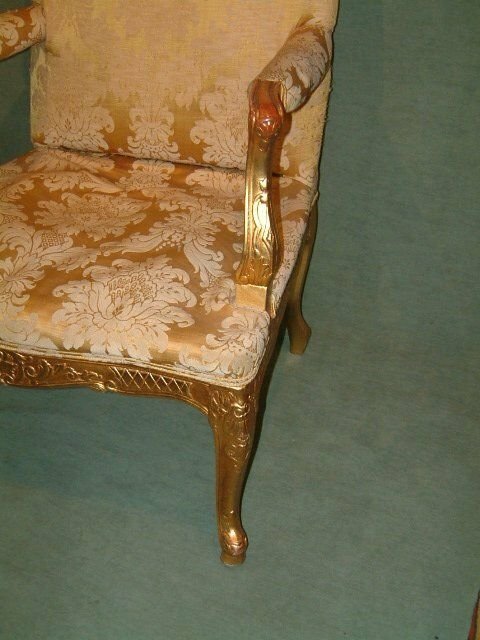 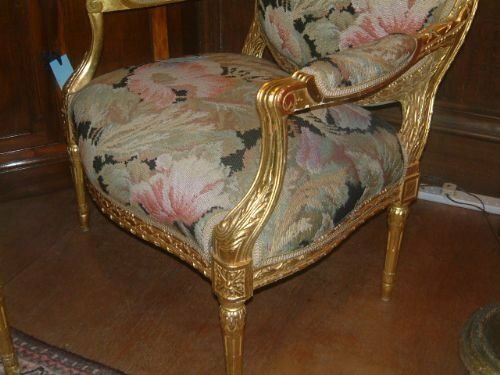 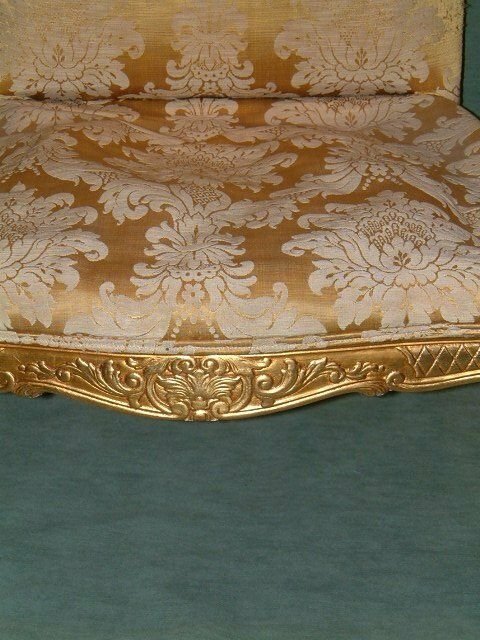 Pair of Louis Style 20th Century Giltwood Chairs with Woolwork Upholstery. 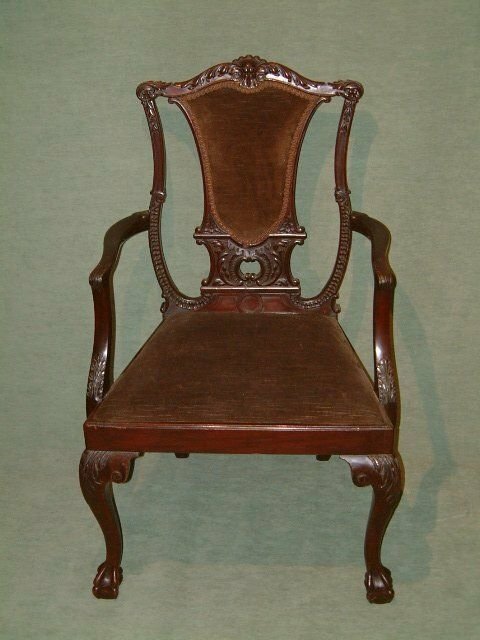 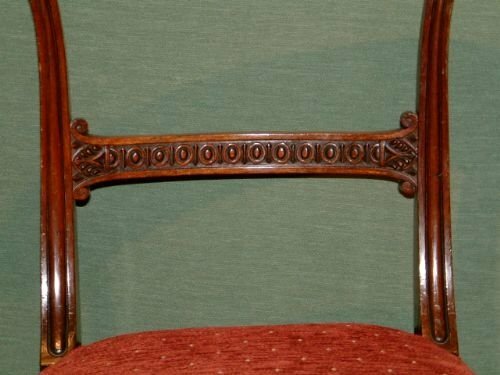 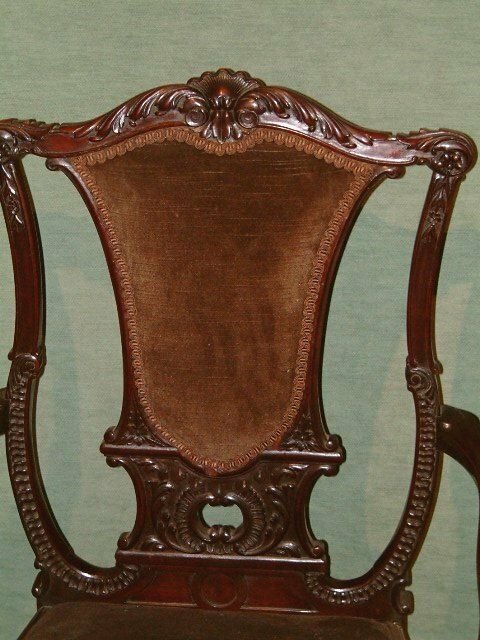 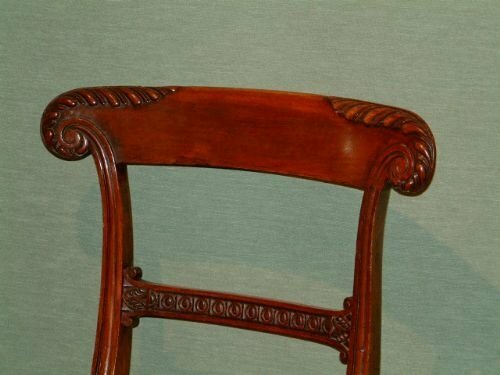 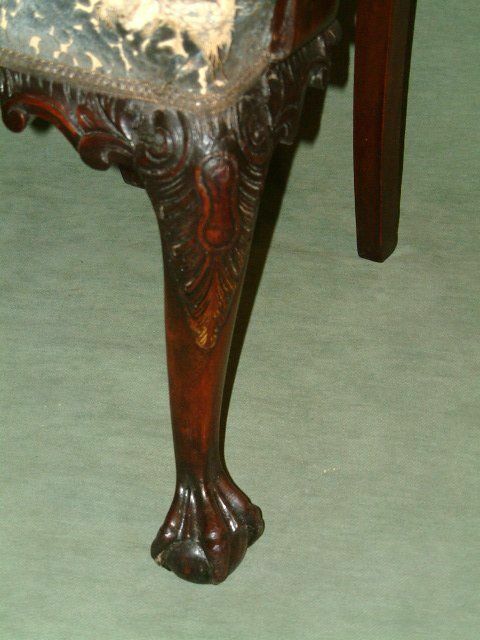 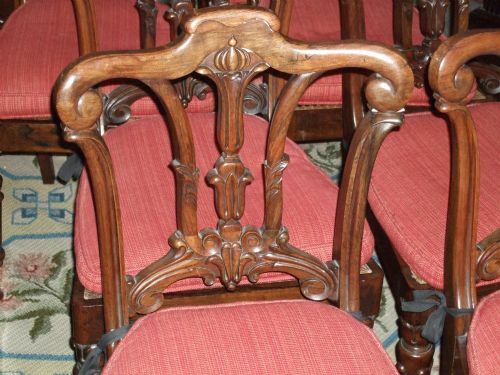 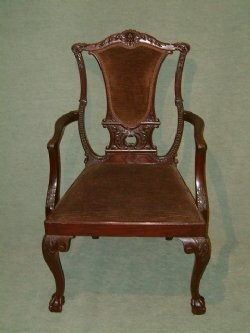 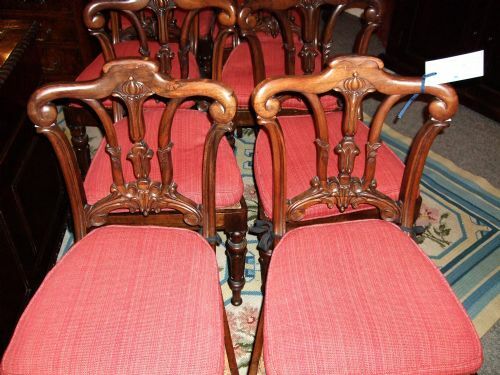 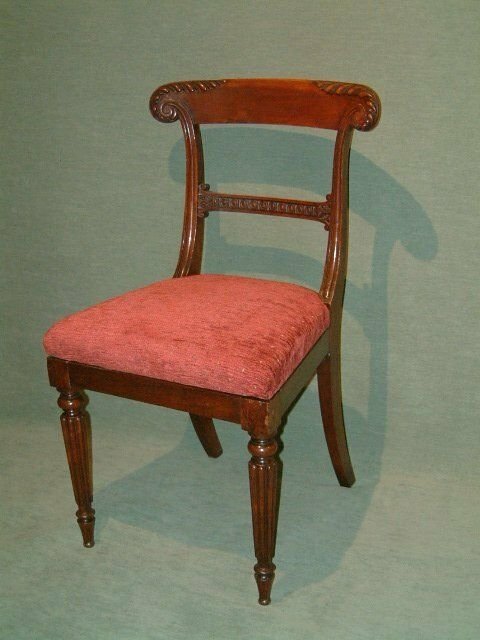 Set of 8 Mahogany Victorian Dining Chairs with Carved Decoration. 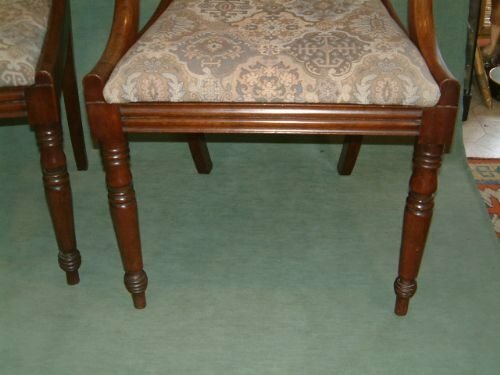 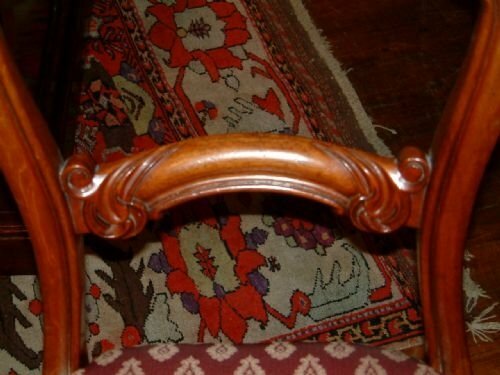 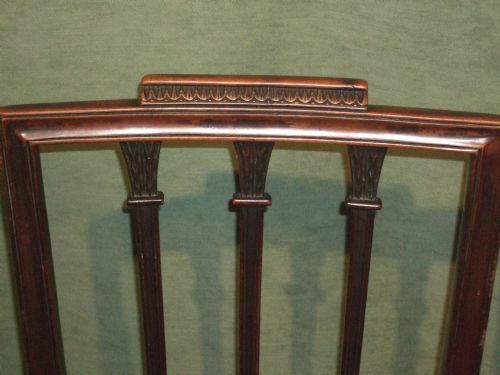 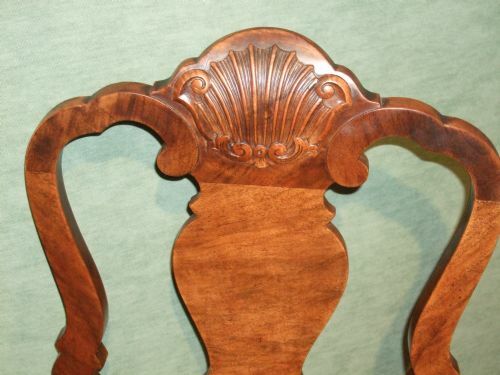 Set of 10 (8+2) Edwardian Heppelwhite Style Mahogany Dining Chairs Nicely Carved Back Splat. 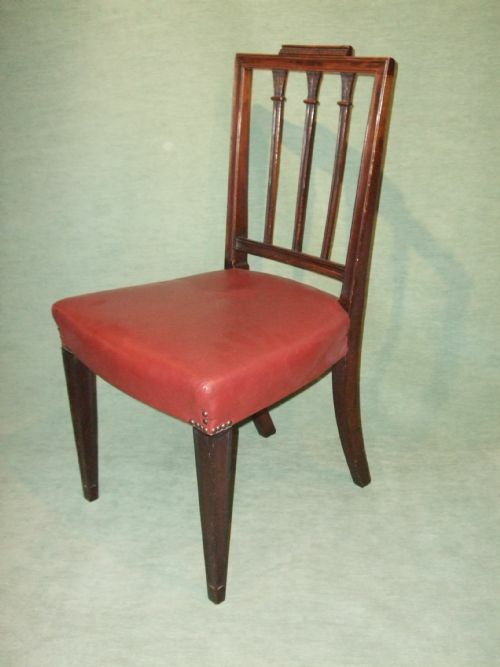 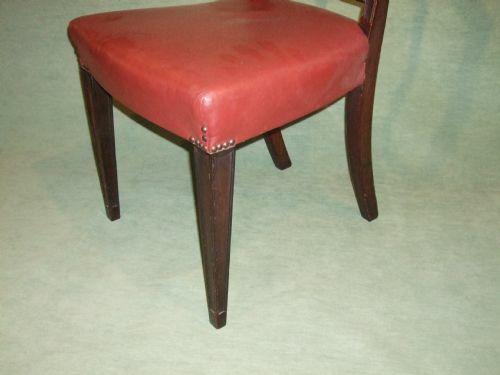 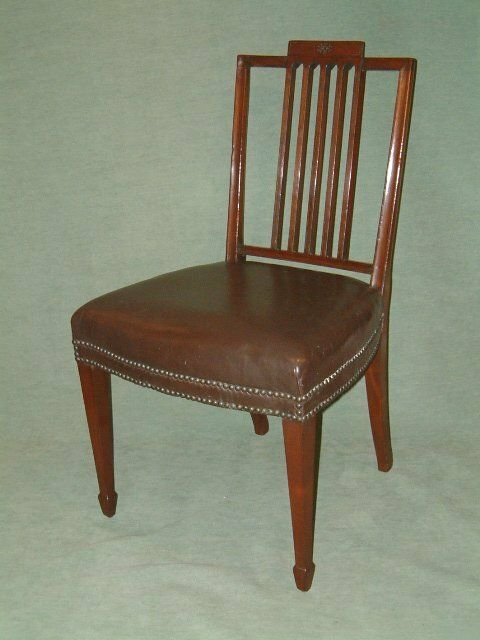 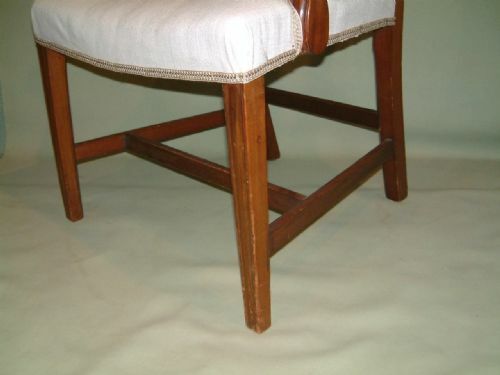 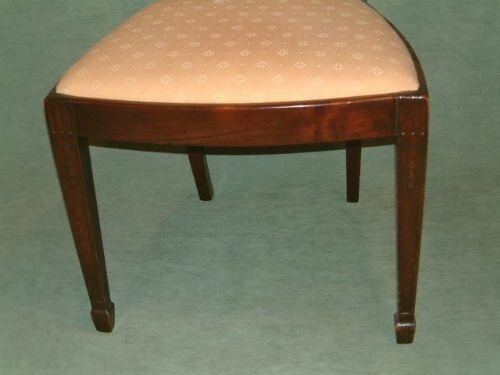 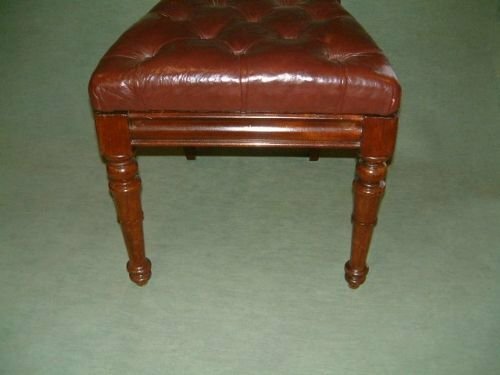 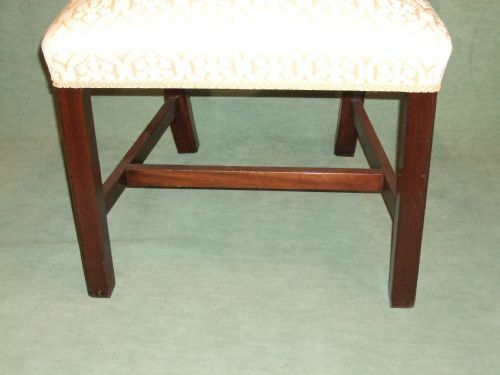 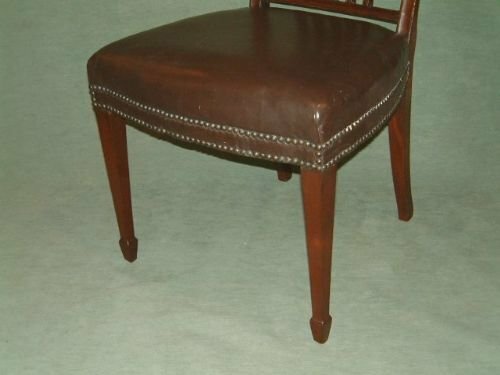 Set of 6 Mahogany William 4th Dining Chairs with Buttoned Leather Seats. 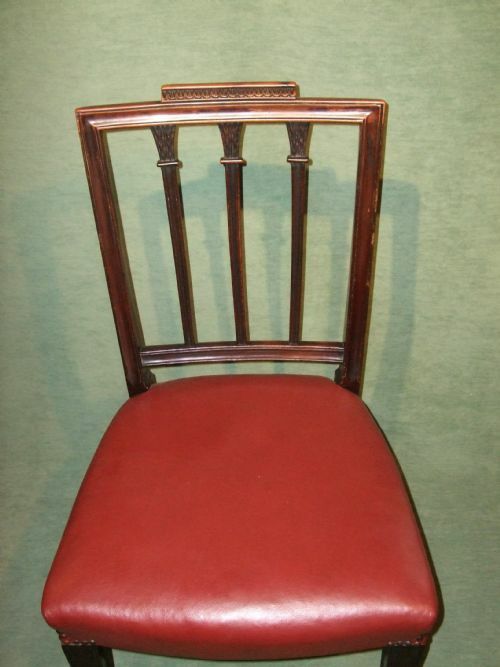 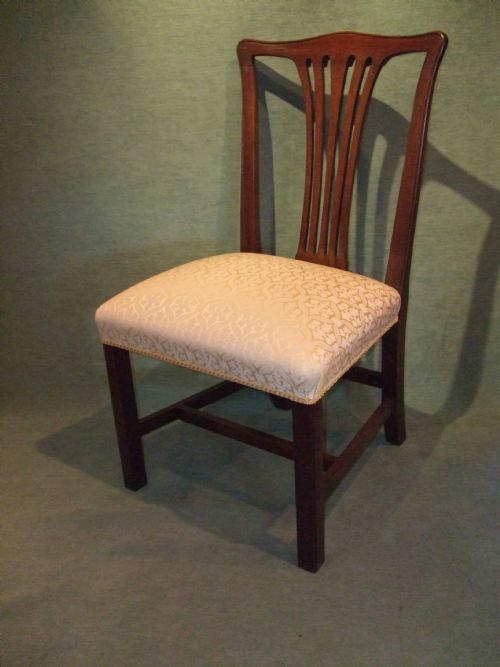 Set of 6 William IVth Simulated Rosewood Dining Chairs with Caned Seats.